Matthews, T., F. Bristow, E. Griffiths, A. Petkau, J. Adam, D. Dooley, P. Kruczkiewicz, J. Curatcha, J. Cabral, D. Fornika, G. Winsor, M. Courtot, C. Bertelli, A. Roudgar, P. Fejaio, P. Mabon, E. Enns, J. Thiessen, A.W.S. Keddy, J. Isaac-Renton, J. Gardy, P. Tang, The IRIDA consortium, J. Carriço, L. Chindelevitch, C. Chauve, M. Graham, A.G. McArthur, E. Taboada, R. Beiko, F.S.L. Brinkman, W.W.L. Hsiao, & G. Van Domselaar. 2018. The Integrated Rapid Infectious Disease Analysis (IRIDA) Platform. BioRxiv 381830 [Preprint]. McGlory, C., M.T. von Allmen, T. Stokes, R.W. Morton, A.J. Hector, B.A. Lago, A.R. Raphenya, B.K. Smith, A.G. McArthur, G.R. Steinberg, S.K. Baker, & S.M. Phillips. 2018. Failed recovery of glycemic control and myofibrillar protein synthesis with two weeks of physical inactivity in overweight, pre-diabetic older adults. Journal of Gerontology: Medical Sciences, 73, 1070-1077. Jia, B., A.R. Raphenya, B. Alcock, N. Waglechner, P. Guo, K.K. Tsang, B.A. Lago, B.M. Dave, S. Pereira, A.N. Sharma, S. Doshi, M. Courtot, R. Lo, L.E. Williams, J.G. Frye, T. Elsayegh, D. Sardar, E.L. Westman, A.C. Pawlowski, T.A. Johnson, F.S.L. Brinkman, G.D. Wright, & A.G. McArthur. 2017. CARD 2017: expansion and model-centric curation of the Comprehensive Antibiotic Resistance Database. Nucleic Acids Research, 45, D566-573. Klein, J.A., B.M. Dave, N. Green, A.R. Raphenya, A.G. McArthur, L.A. Knodler. 2017. Functional relatedness in the Inv/Mxi-Spa Type III secretion system family. Molecular Microbiology, 103, 973-991. McArthur, A.G. & K.K. Tsang. 2017. Antimicrobial resistance surveillance in the genomic age. Annals of the New York Academy of Sciences, 1388, 78-91. Morgan, T.D., C.F. Graham, A.G. McArthur, A.R. Raphenya, D.R. Boreham, R.G. Manzon, J.Y. Wilson, S.L. Lance, K.L. Howland, P.H. Patrick, & C.M. Somers. Genetic population structure of the round whitefish (Prosopium cylindraceum) in North America: multiple markers reveal glacial refugia and regional subdivision. Canadian Journal of Fisheries and Aquatic Sciences, 75, 836-849. Dearborn, D.C., A.B. Gager, A.G. McArthur, M.E. Gilmour, E. Mandzhukova, & R.A. Mack. Gene duplication and divergence produce divergent MHC genotypes without disassortative mating. 2016. Molecular Ecology, 25, 4355-67. Ni, X., J.H. Davis, A. Motahhari1, A. Razi1, S. Benlekbir, A.G. McArthur, J. Rubinstein, R. Britton, J.R. Williamson, & J. Ortega. YphC and YSxC GTPases contribute to the maturation of the central protuberance and functional core of the 50S ribosomal subunit. Nucleic Acids Research, 44, 8442-55. Pawlowski, A.C., W. Wang, K. Koteva, H.A. Barton, A.G. McArthur, & G.D. Wright. 2016. A diverse intrinsic antibiotic resistome from a cave bacterium. Nature Communications, 7, 13803. Williams, L.M, B.A. Lago, A.G. McArthur, A.R. Raphenya, N. Pray, N. Saleem, S. Salas, K. Paulson, R.S. Mangar, Y. Liu, A.H. Vo, & J.A. Shavit. 2016. The transcription factor, Nuclear factor, erythroid 2 (Nfe2), is a regulator of the oxidative stress response during Danio rerio development. Aquatic Toxicology, 180, 141-154. Dearborn D.C., A.B. Gager, M.E. Gilmour, A.G. McArthur, D.A. Hinerfeld, & R.A. Mauck. 2015. Non-neutral evolution and reciprocal monophyly of two expressed Mhc class II β genes in Leach’s storm-petrel. Immunogenetics, 67, 111-123. Dhillon, B.K., M.R. Laird, J.A. Shay, G.L. Winsor, R. Lo, F. Nizam, S.K. Pereira, N. Waglechner, A.G. McArthur, M.G.I. Langille, & F.S.L. Brinkman. 2015. IslandViewer 3: more flexible, interactive genomic island discovery, visualization and analysis. Nucleic Acids Research, 43(W1), W104-8. Freschi, L., J. Jeukens, I. Kukavica-Ibrulj, B. Boyle, M.-J. Dupont, J. Laroche, S. Larose, H. Maaroufi, J.L. Fothergill, M. Moore, G.L. Winsor, S.D Aaron, J. Barbeau, S.C. Bell, J.L. Burns, M. Camara, A. Cantin, S.J.Charette, K. Dewar, E. Déziel, K. Grimwood, R.E.W. Hancock, J.J. Harrison, S. Heeb, L. Jelsbak, B. Jia, D.T. Kenna, T.J. Kidd, J. Klockgether, J.S. Lam, I.L. Lamont, S. Lewenza, N. Loman, F. Malouin, J. Manos, A.G. McArthur, J. McKeown, J. Milot, H. Naghra, D. Nguyen, S.K. Pereira, G.G. Perron, J.-P. Pirnay, P.B. Rainey, S. Rousseau, P.M. Santos, A. Stephenson, V. Taylor, J.F. Turton, N. Waglechner, P. Williams, S.W. Thrane, G.D. Wright, F.S.L. Brinkman, N.P. Tucker, B. Tümmler, C. Winstanley, & R.C. Levesque. 2015. Clinical exploitation of genomics data produced by the international Pseudomonas aeruginosa consortium: the 1000 genomes project. Frontiers in Microbiology, 6, 01036. Graham, C.F., T.C. Glenn, A.G. McArthur, D.R. Boreham, T. Kieran, S. Lance, R.G. Manson, J.A. Martino, T. Pierson, S.M. Rogers, J.Y. Wilson, & C.M. Somers. 2015. Impacts of degraded DNA on restriction enzyme associated DNA sequencing (RADSeq). Molecular Ecology Resources, 15, 1304-15. McArthur, A.G. & G.D. Wright. 2015. Bioinformatics of antimicrobial resistance in the age of molecular epidemiology. Current Opinion in Microbiology, 27, 45-50. Ferella, M., B.J. Davids, M.J. Cipriano, S.R. Birkeland, D. Palm, F.D. Gillin, A.G. McArthur, & S. Svärd. 2014. Gene expression changes during Giardia-host cell interactions in serum-free medium. Molecular and Biochemical Parasitology, 197, 21-23. Hahn, M.E., A.G McArthur, S.I. Karchner, D.G. Franks, M.J. Jenny, A.R. Timme-Laragy, J.J. Stegeman, B.R. Woodin, M.J. Cipriano, E. Linney. 2014. The transcriptional response to oxidative stress in vertebrate embryos: effects of tert-butylhydroquinone and 2,3,7,8-tetrachlorodibenzo-p-dioxin. PLoS ONE, 9, e113158. O’Shields, B., A.G. McArthur, A. Holowiecki, M. Kamper, J. Tapley, & M.J. Jenny. 2014. Inhibition of endogenous MTF-1 signaling in zebrafish embryos identifies novel roles for MTF-1 in development. Biochimica et Biophysica Acta, 1843, 1818-1833. McArthur, A.G., N. Waglechner, F. Nizam, A. Yan, M.A. Azad, A.J. Baylay, K. Bhullar, M.J. Canova, G. De Pascale, L. Ejim, L. Kalan, A.M. King, K. Koteva, M. Morar, M.R. Mulvey, J.S. O’Brien, A.C. Pawlowski, L.J.V. Piddock, P. Spanogiannopoulos, A.D. Sutherland, I. Tang, P.L. Taylor, M. Thaker, W. Wang, M. Yan, T. Yu, & G.D. Wright. 2013. The Comprehensive Antibiotic Resistance Database. Antimicrobial Agents and Chemotherapy, 57, 3348-3357. Williams, L.M., A.R. Timme-Laragy, J.V. Goldstone, A.G. McArthur, J.J. Stegemen, R.M. Smolowitz, & M.E. Hahn. 2013. Developmental expression of the Nfe2-related factor (Nrf) transcription factor family in the zebrafish, Danio rerio. PLoS ONE, 8, e79574. Tedom, J.C., V. Penlap, R. Kieft, A.G. McArthur, W. Mbacham, D. Mark Welch, S.L. Hajduk, & V.P.K. Titanji. 2012. Molecular typing of M. tuberculosis isolates from Yaoundé reveals RIF resistance markers, clonal relatedness and mutation patterns. Asian Pacific Journal of Tropical Disease, 2, 342-347. Timme-Laragy, A.R., S.I. Karchner, D.G. Franks, M.J. Jenny, R.C. Harbeitner, J.V. Goldstone, A.G. McArthur, M.E. Hahn. 2012. Nrf2b: a novel zebrafish paralog of the oxidant-responsive transcription factor NF-E2-related (Nrf2). Journal of Biological Chemistry, 287, 4609-4627. Davids, B.J., M.A. Gilbert, Q. Liu, D.S. Reiner, A.J. Smith, T. Lauwaet, C. Lee, A.G. McArthur, & F.D. Gillin. 2011. An atypical proprotein convertase in Giardia lamblia differentiation. Molecular and Biochemical Parasitology, 175, 169-180. Kirischian, N., A.G. McArthur, C. Jesuthasan, B. Krattenmacher, & J.Y. Wilson. 2011. Phylogenetic and functional analysis of the vertebrate cytochrome P450 2 family. Journal of Molecular Evolution, 72, 56-71. Shakya, T., P. Stogios, N. Waglechner, E. Evdokimova, L. Ejim, J. Blanchard, A.G. McArthur, A. Savchenko, & G.D. Wright. 2011. A small molecule discrimination map of the antibiotic resistance kinome. Chemistry & Biology, 18, 1591-1601. Birkeland, S.R., S.P. Preheim, B.J. Davids, M.J. Cipriano, D. Palm, D.S. Reiner, S.G. Svard, F.D. Gillin, & A.G. McArthur. 2010. Transcriptome analyses of the Giardia lamblia life cycle. Molecular and Biochemical Parasitology, 174, 62-65. Goldstone, J.V., A.G. McArthur, A. Kubota, J. Zanette, T. Parente, M. Jönsson, D.R. Nelson, & J.J. Stegeman. 2010. Identification and developmental expression of the full complement of cytochrome P450 genes in zebrafish. BMC Genomics, 11, 643. Githui, E.K., E.P. de Villiers, & A.G. McArthur. 2009. Plasmodium possesses dynein light chain classes that are unique and conserved across species. Infection, Genetics, and Evolution, 9, 337-343. Taft, A.S., J.J. Vermeire, J. Bernier, S.R. Birkeland, M.J. Cipriano, A.R. Papa, A.G. McArthur, & T.P. Yoshino. 2009. Transcriptome analysis of Schistosoma mansoni larval development using serial analysis of gene expression (SAGE). Parasitology, 136, 469-485. Bernier, J.C., S.R. Birkeland, M.J. Cipriano, A.G. McArthur, & M.A. Banks. 2008. Differential gene expression between fall and spring run Chinook salmon (Oncorhynchus tshawytscha) assessed by long serial analysis of gene expression (LongSAGE). Transactions of the American Fisheries Society, 137, 1378-1388. Brown, M.T., H.M.H. Goldstone, F. Bastida-Corcuera, M.G. Delgadillo-Correa, A.G. McArthur & P.J. Johnson. 2007. A functionally divergent hydrogenosomal peptidase with protomitochondrial ancestry. Molecular Microbiology, 64, 1154-1163. Lauwaet, T., B.J. Davids, A. Torres-Escobar, S.P. Preheim, S.R. Birkeland, M.J. Cipriano, D. Palm, S.G. Svard, A.G. McArthur & F.D. Gillin. 2007. Protein phosphatase 2A plays a crucial role in Giardia lamblia differentiation. Molecular and Biochemical Parasitology, 152, 80-89. Morrison, H.G., A.G. McArthur, F.D. Gillin, S.B. Aley, R.D. Adam, G.J. Olsen, A.A. Best, W.Z. Cande, F. Chen, M.J. Cipriano, B.J. Davids, S.C. Dawson, H.G. Elmendorf, A.B. Hehl, M.E. Holder, S.M. Huse, U.U. Kim, E. Lasek-Nesselquist, G. Manning, A. Nigam, J.E.J. Nixon, D. Palm, N.E. Passamaneck, A. Prabhu, C.I. Reich, D.S. Reiner, J. Samuelson, S.G. Svard, & M.L. Sogin. 2007. Genomic minimalism in the early diverging intestinal parasite Giardia lamblia. Science, 317, 1921-1926. Smith, S.S., S.L. Pfluger, E. Hjort, A.G. McArthur, & K.M. Hager. 2007. Molecular evolution of the vesicle coat component βCOP in Toxoplasma gondii. Molecular Phylogenetics and Evolution, 44, 1284-1294. Sogin, M.L., D.J. Patterson, & A.G. McArthur. 2007. The origin and diversification of eukaryotes. In, W.T. Sullivan & J. Barros (eds), “Planets & Life: The Emerging Science of Astrobiology”. Cambridge University Press, Cambridge, U.K., pp 265-274. Williams, D.L., A.A. Sayed, J. Bernier, S.R. Birkeland, M.J. Cipriano, A.R. Papa, A.G. McArthur, A. Taft, J.J. Vermeire, & T.P. Yoshino. 2007. Profiling Schistosoma mansoni development using Serial Analysis of Gene Expression (SAGE). Experimental Parasitology, 117, 246-258. Davids, B.J., D.S. Reiner, S.R. Birkeland, S.P. Preheim, M.J. Cipriano, A.G. McArthur, & F.D. Gillin. 2006. A new family of giardial cysteine-rich non-VSP protein genes and a novel cyst protein. PLoS ONE, 1, e44. Dyhrman, S.T., S.T. Haley, S.R. Birkeland, L.L. Wurch, M.J. Cipriano, & A.G. McArthur. 2006. Long-SAGE (serial analysis of gene expression) for gene discovery and transcriptome profiling in the widespread marine coccolithophore Emiliania huxleyi. Applied and Environmental Microbiology, 72, 252-260. Faulkner, S.D., M.W. Oli, R. Kieft, L. Cotlin, J. Widener, A. Shiflett, M.J. Cipriano, S.E. Pacocha, S.R. Birkeland, S.L. Hajduk & A.G. McArthur. 2006. In vitro generation of human HDL resistant Trypanosoma brucei brucei. Eukaryotic Cell, 5, 1276-1286. Messerli, S.M., W. Morgan, S.R. Birkeland, J. Bernier, M.J. Cipriano, A.G. McArthur & R.M. Greenberg. 2006. Nitric oxide-dependent changes in Schistosoma mansoni gene expression. Molecular and Biochemical Parasitology, 150, 367-370. Mukherjee, M., M.T. Brown, A.G. McArthur & P.J. Johnson. 2006. Proteins of the glycine decarboxylase complex in the hydrogenosome of Trichomonas vaginalis. Eukaryotic Cell, 5, 2062-2071. Williams, D.L., A.A. Sayed, D. Ray, & A.G. McArthur. 2006. Schistosoma mansoni albumin, a major defense against oxidative damage, was acquired by lateral gene transfer from a mammalian host. Molecular and Biochemical Parasitology, 150, 359-363. Palm, D., M. Weiland, A.G. McArthur, J. Winiecka-Krusnell, M.J. Cipriano, S.R. Birkeland, S.E. Pacocha, B.J. Davids, F.D Gillin, E. Linder, & S.V. Svard. 2005. Developmental changes in the adhesive disk during Giardia differentiation. Molecular and Biochemical Parasitology, 141, 199-207. Weiland, M.E-L., A.G. McArthur, H.G. Morrison, M.L. Sogin, & S.G. Svard. 2005. Annexin-like alpha giardins: a new cytoskeletal gene family in Giardia lamblia. International Journal for Parasitology, 35, 617-626. Wilson, J.Y., A.G. McArthur, & J.J. Stegeman. 2005. Characterization of a cetacean aromatase (CYP19) and the phylogeny and functional conservation of vertebrate aromatase. General and Comparative Endocrinology, 140, 74-83. Best, A.A., H.G. Morrison, A.G. McArthur, M.L. Sogin, & G.J. Olsen. 2004. Evolution of eukaryotic transcription: insights from the genome of Giardia lamblia. Genome Research, 14, 1537-1547. McArthur, A.G., T. Hegelund, R.L. Cox, J.J. Stegeman, M. Liljenberg, U. Olsson, P. Sundberg, & M.C. Celander. 2003. Phylogenetic analysis of the Cytochrome P450 3 (CYP3) gene family. 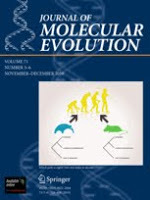 Journal of Molecular Evolution, 57, 200-211. McArthur, A.G. & M.G. Harasewych. 2003. Molecular systematics and the major lineages of the Gastropoda. In, C. Lydeard & D. Lindberg (eds. ), “Molecular systematics and phylogeography of Mollusks”. Smithsonian Institution Press, Washington, D.C., pp 140-160. Nixon, J.E.J., J. Field, A.G. McArthur, M.L. Sogin, N. Yarlett, B.J. Loftus, & J. Samuelson. 2003. The iron-dependent hydrogenases of Entamoeba histolytica and Giardia lamblia: activity of the recombinant amebic enzyme and evidence for lateral gene transfer. Biological Bulletin, 204, 1-9. Seshadri, V., A.G. McArthur, M.L. Sogin, & R.D. Adam. 2003. Giardia lamblia RNA polymerase II: Amanitin-resistant transcription. Journal of Biological Chemistry, 278, 27804-27810. Nixon, J.E.J., A. Wang, J. Field, H.G. Morrison, A.G. McArthur, M.L. Sogin, B.J. Loftus, & J. Samuelson. 2002. Evidence for lateral transfer of genes encoding ferredoxins, nitroreductases, NADH oxidase, and alcohol dehydrogenase 3 from anaerobic prokaryotes to Giardia lamblia and Entamoeba histolytica. Eukaryotic Cell, 1, 181-190. Nixon, J.E.J., A. Wang, H.G. Morrison, A.G. McArthur, M.L. Sogin, B. Loftus, and J. Samuelson. 2002. A spliceosomal intron in Giardia intestinalis. Proceedings of the National Academy of Sciences, USA, 99, 3701-3705. Sun, C.-H., D. Palm, A.G. McArthur, S.G. Svard, & F.G. Gillin. 2002. A novel Myb-related protein involved in transcriptional activation of encystation genes in Giardia lamblia. Molecular Microbiology, 46, 971-984. Berntson, E.A., F.M. Bayer, A.G. McArthur & S.C. France. 2001. Phylogenetic relationships within the Octocorallia (Cnidaria: Anthozoa), based on nuclear 18S rRNA sequences. Marine Biology, 138, 235-246. McArthur, A.G., L. Knodler, J.D. Silberman, B. Davids, F. D. Gillin, & M.L. Sogin. 2001. The evolutionary origins of eukaryotic protein disulfide isomerase domains: new evidence from the amitochondriate protist Giardia lamblia. Molecular Biology and Evolution, 18, 1455-1463. Atkins, M.S., A.G. McArthur, & A.P. Teske. 2000. Ancyromonadida: a new phylogenetic lineage among the protozoa closely related to the common ancestor of Metazoans, Fungi and Choanoflagellates (Opisthokonta). Journal of Molecular Evolution, 51, 278-285. Harasewych, M.G. & A.G. McArthur. 2000. A molecular phylogeny of the Patellogastropoda (Mollusca: Gastropoda). Marine Biology, 137, 183-194. McArthur, A.G., H.G. Morrison, J.E.J. Nixon, N.Q.E. Passamaneck, U. Kim, C.I. Reich, M.E. Holder, G. Hinkle, M.K. Crocker, R. Farr, G.J. Olsen, S.B. Aley, R. Adam, F.D. Gillin, and M.L. Sogin. 2000. The Giardia genome project database. FEMS Microbiology Letters, 189, 271-273. Wu, G., A.G. McArthur, A. Fiser, A. Sali, M.L. Sogin, & M. Muller. 2000. Core histones of the amitochondriate protist, Giardia lamblia. Molecular Biology and Evolution, 17, 1156-1163. McArthur, A.G. & B.F. Koop. 1999. Partial 28S rDNA sequences and the antiquity of hydrothermal vent endemic gastropods. Molecular Phylogenetics and Evolution, 13, 255-274. McArthur, A.G. & V. Tunnicliffe. 1998. Relics and antiquity revisited in the modern vent fauna. In, R. Mills & K. Harrison (eds), “Modern ocean floor processes and the geological record”. Geological Society Special Publication, 148, 271-291. Tunnicliffe, V., A.G. McArthur & D. McHugh. 1998. A biogeographical perspective of the deep-sea hydrothermal vent fauna. Advances in Marine Biology, 34, 355-442. Tunnicliffe, V., C.M.R. Fowler & A.G. McArthur. 1996. Plate tectonic history and hot vent biogeography. In, C.J. MacLeod et al. (eds), “Tectonic, magmatic, hydrothermal and biological segmentation of mid-ocean ridges”. Geological Society Special Publication, 118, 225-238.
da Cruz, A.D., A.G. McArthur, C.C. Silva, M.P. Curado & B.W. Glickman. 1994. Human micronucleus counts are correlated to age, smoking, and Cesium-137 dose in the Goiania (Brazil) radiological accident. Mutation Research, 313, 57-68. McArthur, A.G. 1994. Chaos theory. In, S. Macey (ed. ), “The Encyclopedia of Time”, Garland Publishing Inc., New York, pp. 91-93.